Jennifer Lawrence Compares Saint West to What?! Cosmopolitan created a firestorm earlier this year when editors hailed the Kardashian and Jenner women as "America's First Family." Well, Jennifer Lawrence is now taking leaping across the pond and comparing the birth of Kim Kardashian and Kanye West's second child Saint West to the arrival of Princess Charlotte! Lawrence said she has yet to see a photo of Saint. "I'm so mad that they stole my baby name though—Saint Lawrence," the Oscar winner cracked. In August, Lawrence's friends surprised her for her birthday with a visit from Kris Jenner. "My knees buckled. I fell. Seriously!" Lawrence told the New York Times of meeting the family matriarch. "It was the closest I've ever come to losing consciousness. I had no idea." Jenner documented their newfound friendship by posting a photo of her and The Hunger Games star in a bed together. For more from Jennifer and her Joy co-stars, make sure to come back to E! Online later today and check out E! News tonight at 7 p.m. and 11 p.m. 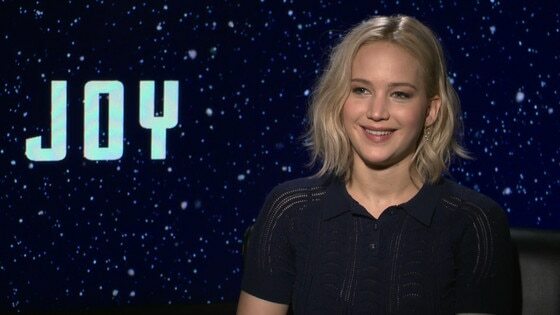 PHOTOS: Who loves Jennifer Lawrence? All these celebs certainly do!